A large-scale fire that took three days for firefighters to extinguish completely on a farm in the UK is thought to have been started deliberately. 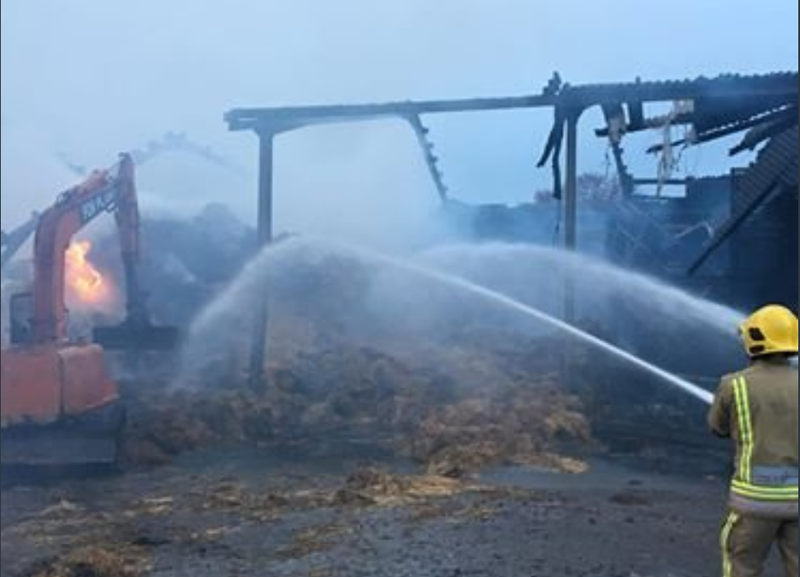 Staffordshire Fire and Rescue Service has said the cause of the fire – which broke out on a farm in Cheddleton, England – is believed to be deliberate. The service was called to Basford Bridge Farm at 8:32pm on Tuesday, October 30, after reports of an extensive fire in one of the agricultural buildings. 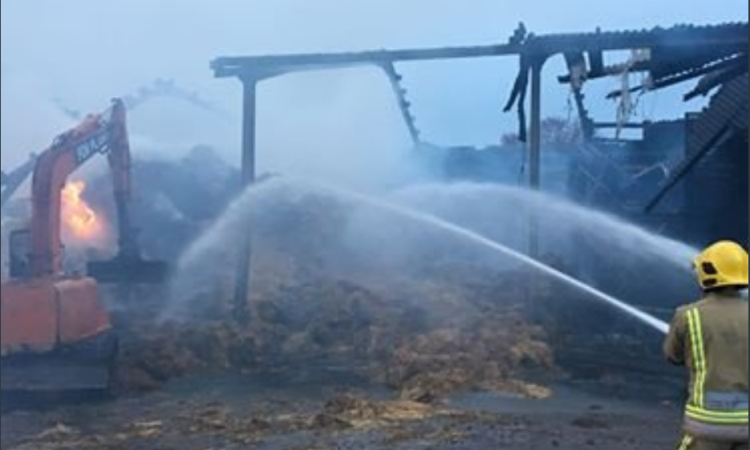 At the height of the incident eight crews were in attendance and had to split the area into three sectors in order to tackle the fire, which involved a 40mx30m building full of hay. They used several main jets and a high-volume pump to put out the flames whilst machinery was used to remove some of the straw. The firefighters, with the help of the occupier, continued to remove the hay and damp down hot spots through to yesterday (Thursday, November 1). This fire has taken up considerable time and resources and has no doubt been distressing for the owner. The service was at this farm for around three days and several crews were needed to tackle the blaze.